A really solid week, 69 miles done including the first proper long run of this campaign – 20 miles around Fewston and Swinsty reservoirs with some mates from the club. This was done on Sunday morning after a very hard run on Saturday afternoon at the Northern cross-country championships at Pontefract racecourse. I won’t lie, as I write this on Sunday afternoon, I feel extremely tired indeed and I definitely need either a day off or a very easy day tomorrow, but I am pleased that I am getting right into the business end of training for Manchester and Comrades. On Thursday I went down to Leeds Beckett University to take part in a study into whether drinking beetroot juice is beneficial to athletes. A student had requested volunteers for the study a few weeks ago at parkrun. As I work reasonably close to Leeds Beckett University, I figured that I could do my trial at lunchtime so I offered my services. I also hoped that I might get some data about my fitness if I got involved. After an exchange of e-mails with the person running the study, we set the date and she told me how to prepare. I was required to run an absolute all-out time trial 5K effort on a treadmill whilst wearing a breathing mask. The run would be on 0% gradient and self-paced – I would not see the time elapsed on the treadmill, but I would see distance covered and current speed. I was required to drink two small bottles of beetroot juice one hour before the run. Or would I? some participants would be drinking a placebo – which would look and taste just like beetroot juice, but I guess had the nitrates removed. I went to the University lab the day before in order to meet the people running the study, to get my beetroot juice and have some basic physical tests done – my height and weight were measured, I had my blood pressure done and a sample of blood was taken for analysis. In order to be fresh for the trial, I didn’t run the day before. I also had to record exactly what I had eaten for the 24 hours before the run. On Thursday lunchtime I went down to run my trial. I had my blood pressure taken again and another blood sample was taken. Apparently I have very low blood pressure – it was measured at 110/70 – I don’t know if that is good or bad to be honest. I got fitted up with the mask and did a short warm up. My parkrun 5K PB is 17:44, but I certainly don’t feel in PB shape at the moment. It was up to me to set the pace, so I opted to set off at 16 km/hour, which I figured would be 6 minute miling or about an 18:38 5K. The trial starts with a stationary treadmill and it seemed to take ages for the treadmill to crank up to speed, but once it got going I felt fairly comfortable, so I soon nudged it up to 16.2 I held this OK for the next couple of kilometres, but by halfway I was starting to feel the effort. The mask was very restricting and it felt hard to get enough air in and annoyingly the mask started to slip off so I had to keep pushing back on. Also, to my extreme annoyance my shoelace came undone at this point. Realising there was no way that I could stop to retie it, I had to try to ignore it, but it was an unwelcome distraction. At 3.5K I was well and truly aboard the pain train, but as there were a couple of pretty girls watching and urging me on, I nudged the speed up again to 16.7 and tried to implore myself on. I was gasping desperately during the final kilometre and with about 600m to go I had to relent and nudge the speed back down to 16.2 and then 16.0. The distance meter seemed to stop moving and I was absolutely desperate for the finish to come. As it hit 4.6K I nudged up the speed again and I nearly fell off the treadmill as the distance hit 5.0K. The girls said that I had done well and had done the best time of anyone who had taken the study – it was 18:30. I felt a bit disappointed with this initially, but given that the treadmill takes a while to get up to full speed and the fact that the mask is really restricting on your breathing, I guess that is not too bad. I certainly don’t think I could have gone any faster. I had to put a mark on a perceived effort chart with 0 being no effort and 20 being absolutely all-out, couldn’t give anymore. I went for 18.5, but I could have said 20. I had more blood taken 3 minutes after the end of the run. In two weeks I have to repeat the trial, but this time with the other sample. It’s a double blind trial, so neither I, nor the student running the trial knows whether I have taken the placebo or the real Beetroot juice until after the study is complete. On Saturday I ran in the Northern cross country championships. 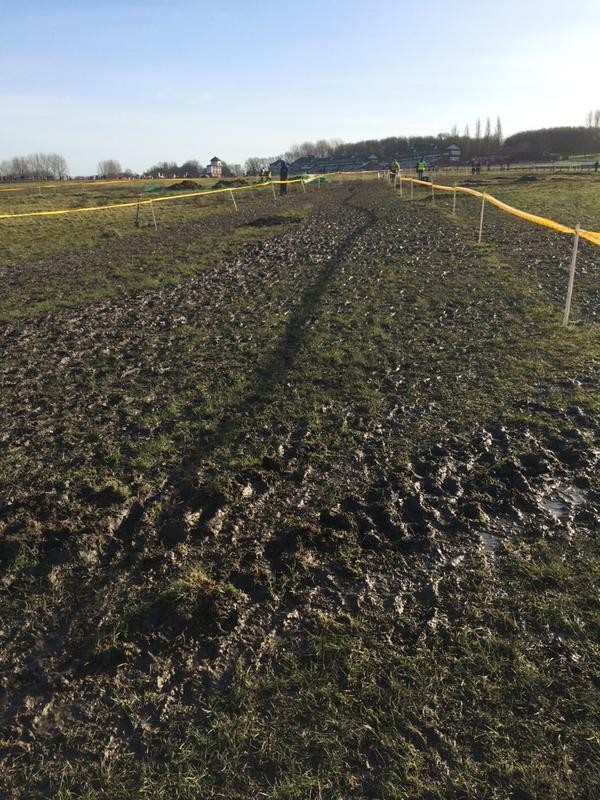 I enjoy cross country, but I wasn’t treating this as a target race. I didn’t mentally prepare much and decided just to run hard but controlled, i.e. set off steady and try to run and even pace and pick off runners as I went. Looking at previous results, I realised that a top half finish would be all that I could aim for, even then I would have to run really well. With all the best runners in the North of England competing, the standard was very high. I set off steadily with a 6:50 first mile on the undulating course, followed by 3 consecutive miles of exactly 6:54 each. I was passing people all the way, but I knew I was much nearer to the back of the field than the front. The course was 3 x 4K laps and I had a slight fear that the leaders might just lap me near the end of my second lap, thankfully I managed to avoid that ignominy. The really muddy sections were tough, completely energy-sapping and I tried various tactics from trying skirt around the edges of the muddiest patches, to ploughing straight through the deepest parts and then trying to ‘skip’ over the mud. Nothing really worked and despite wearing 15mm spikes my feet were slipping sideways. I put in a bit of an effort during the final lap and started to race a few guys, but with about half a mile to go, I blew up and I didn’t really have the willpower to completely bury myself. I ran in as best I could, but I probably lost 10 places near the end, which is poor I know. I finished 376th in a field of 697, so I missed my target of making the top half. 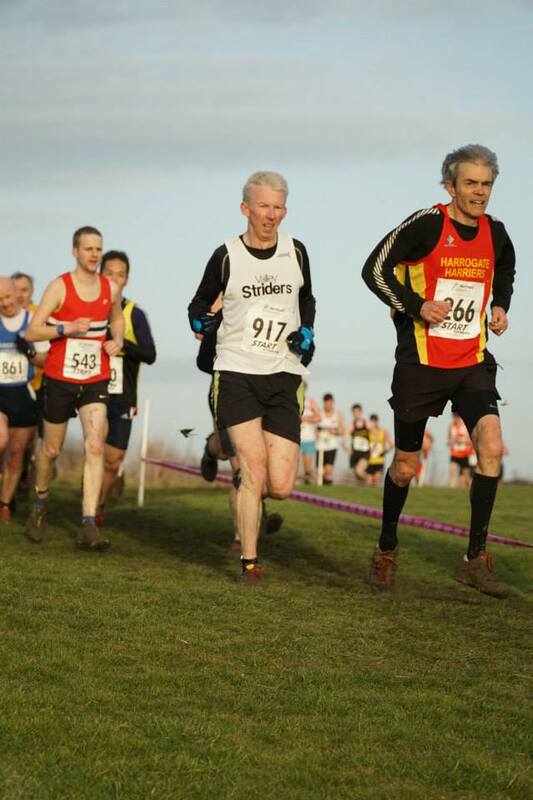 However, I was delighted to learn that my club, Valley Striders, came 13th out of 58 clubs in the senior Men’s race – which is an absolutely brilliant result for a little club like ours which doesn’t have much history in cross country running. We were mixing it with famous clubs like Gateshead, Liverpool and Durham. Really well done guys. The senior ladies also had a great result with 15th out of 41 teams. Superb. The long run today was done on tired legs, so it’s no great surprise that I blew a little on the third of three laps of the reservoirs. The other lads dropped me about 5 miles from the end, but I was happy to slow down to 8:00 minute miling and finish the run at my own pace. I ran two laps of the carpark to bring the distance on the Garmin to 20 miles exactly because I am sad like that. Next week I will scale back a bit. I’ve had 2 hard weeks and I can feel some niggles in my knee and ankle. I’m also hoping to run a good time at next Sunday’s Dewsbury 10K, so an easy week will hopefully help me recover in time for that. I very much doubt that I can better my PB, but anything around 37 minutes will be OK.
Good read, thanks. Very interesting write up of the testing. Are you going to get the results some day? Would be interesting to hear what the study finds. Hi Kev, yes they have promised me a copy of the results and a copy of the final report.